I have read the Elizabeth Zimmerman's book about making different style of circular garments. It is down to top . It is good book , and easy to follow. I have countered one problem with this technique; it is the underarm and sleeve alive stitches. According to her technique you should leave alive stitches of sleeve, and alive stitches of body. then you make Kitchener stitches to close those alive stitch. Here is the result when I did as the book said. Of course it is awful result!!! The stitches extended as you see and are so loose. I didn't like it at all. I have made a blouse for my mum last year , and got an idea of bind off the underarm stitches before joining sleeves with body. 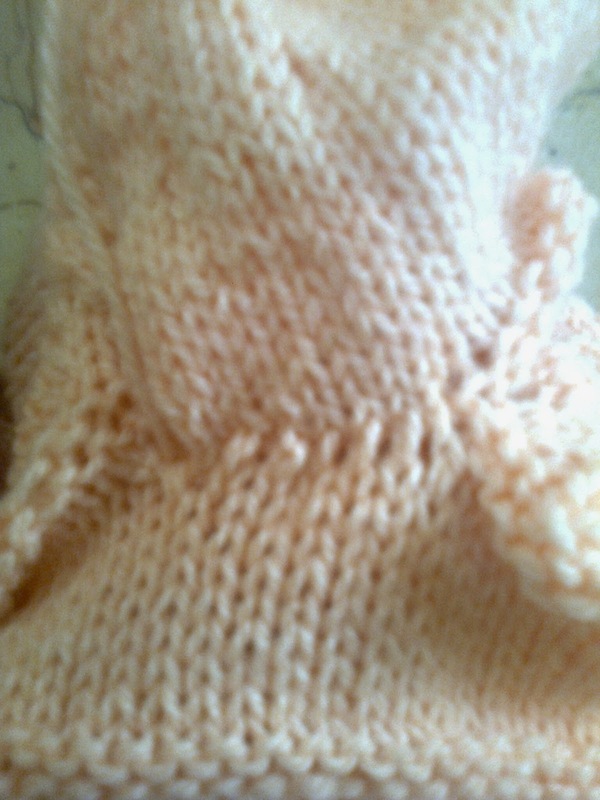 It was better , but still have holes around the underarm stitches. So I have to think in another solution for this problem. 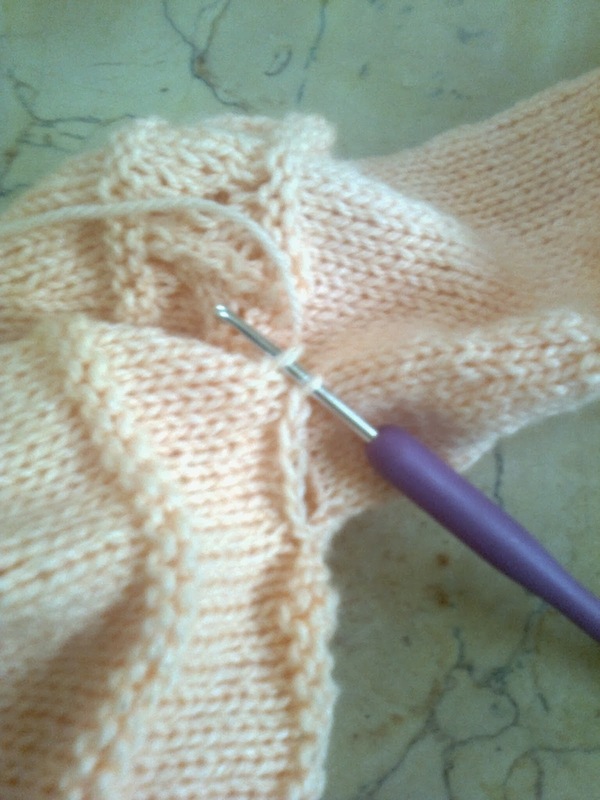 This time I let the stitches alive -as the book said, but don't make the Kitchener stitch. 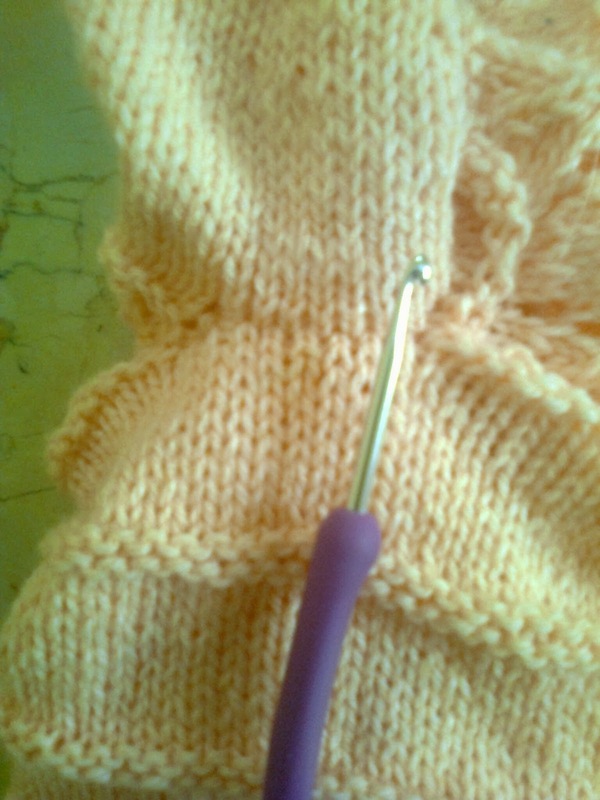 I have used the crochet hook to close the alive stitches first or bind them off , Then graft the stitches. 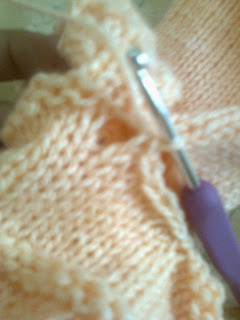 Here are the steps before you graft the closed stitches. 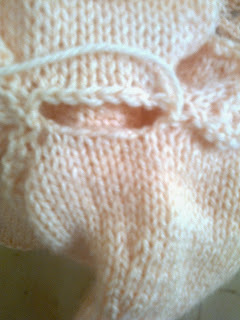 This is better-in my opinion- because I can close the extended stitches of the yoke, and even avoid the holes around the underarm stitches. any way it is what I made, and wanted to share it with you .